Opinion Outpost Review: Reliable Way to Make Money Online – Scam or Legit? I like making lists of survey sites that I actually like and would recommend to others. They might be the highest paying ones in cash or those that reward you gift cards or e-vouchers you can actually use – or generally ones that I consider hassle-free and keeps earning-related frustration to a minimum. The presence of all or a number of those reasons is usually what keeps them on my rotation of useful online rewards sites. In some of those posts are some reviews on Opinion Outpost, one of the sites I personally consider to be legit. So far, I’ve mentioned this online rewards site in the following articles I’ve written in the past: Five Top Paying Survey Sites If You’re On the Go, Top Five Quick Pay Survey Sites You Can Try Today, and The Seven Best Online Surveys for Amazon Gift Cards. But if those blog posts aren’t enough to convince you, here I am today with a full-length Opinion Outpost review. I aim to get to the nitty-gritty of why a lot of users consider it an easy and legit way to earn some extra income online. So what is Opinion Outpost all about? As with most survey sites, Opinion Outpost pays users for their “opinions” (well, duh) on behalf of their partner companies who are seeking invaluable market research. Basically, an Opinion Outpost survey will help these companies better their products and services based on your answers. The job of Opinion Outpost would be to match you (according to your demographic) with the kind of surveys needed and then reward you for successfully completing them. Opinion Outpost became active in 2009. It is currently available to users from the USA, UK, and Canada. Anyone aged thirteen years or older can sign up to be a member of this site for free. Members will need to complete a profile and an initial survey so the site can know how to match them with potential surveys they will qualify for. Answering this alone already earns you a bonus of 50 cents! Is membership to Opinion Outpost beneficial? So how much money can you make on opinion outpost? It really depends on how many surveys you manage to qualify for and complete. Also, the earning potential relies a lot on the methods you choose to earn. Of course, the most popular one would be to answer surveys, which – based on my personal experience – earns me an average of 50 cents for every 5-minute survey I complete (a point is worth 10 cents). I am lucky enough to qualify for a sizable percentage of the surveys, which allows me to earn a little over $5 or more an hour if I feel like keeping at it. This is just my personal average, though. Other people I know have gotten lucky with $10 to $12 an hour surveys! Another great way to earn passively is by using the site’s referral system. I’ve used this a couple of times because Opinion Outpost is something I would actually recommend to friends and relatives who need some extra income. It hasn’t earned me much – each successful referral is only worth a dollar – but that’s still some passive income I wouldn’t pass up. There is also a quarterly sweepstake draw worth $10,000 – but since I don’t have much luck at raffles and draws, I don’t put too much stock on this one as an earning potential. You might have better luck than me, though, so go ahead and try it! 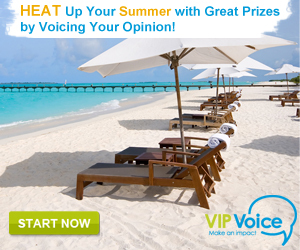 What kind of rewards can I expect on Opinion Outpost? Opinion Outpost rewards come in the form of cash outs via PayPal, and gift cards from some well-known retailers. My favorite GCs are from Amazon which are worth 50 points for a $5 GC, and which are extra-useful this holiday season. But the best reward for me is still cold hard cash. And to sweeten the deal, Opinion Outpost actually has a low minimum payout amount of just 100 points, or $10. They also process payments pretty fast, which is truly helpful for those times when I need some petty cash ASAP. As a friendly reminder, it’s best to sign up for an Opinion Outpost using an email address that’s PayPal-verified. This will make transactions smoother if you prefer cashing out your earnings. An Opinion Outpost survey has proven to be more reliable to me by far than several surveys that promise more money, then gets me screened out right smack in the middle or towards the last few seconds of a survey. This is why I’ve kept it in my list of trustworthy online rewards sites which I keep on rotation. As a disclaimer, I do get screened out and disqualified sometimes. This is because of my demographic information, so I don’t really blame Opinion Outpost for it. The good thing is that, whenever I do get screened out, it’s never at the tail end of a survey. That has happened to me several times before in other survey sites, and it’s one of the most vexing experiences in my pursuit of an additional source of income online. On that note, the best surveys to take on this site would be the ones where you get an email notification. These ones actually show how long the survey would be, and how many points each one is worth. Doing this means you won’t be risking answering a survey that isn’t worth your time or effort! So yes, I think Opinion Outpost is a legit survey site with no frills and minimal headaches when it comes to earning and getting your rewards. I would love for them to come up with an app, though. That would be extra-helpful when I’m not in the house and still find myself with enough free time to answer surveys (such as when I’m stuck in a dental office waiting room). But since their website is user responsive even on mobile devices, I have no real complaints about Opinion Outpost. PineCone Research Review: Higher-Than-Usual Survey Payments – Scam or Legit?